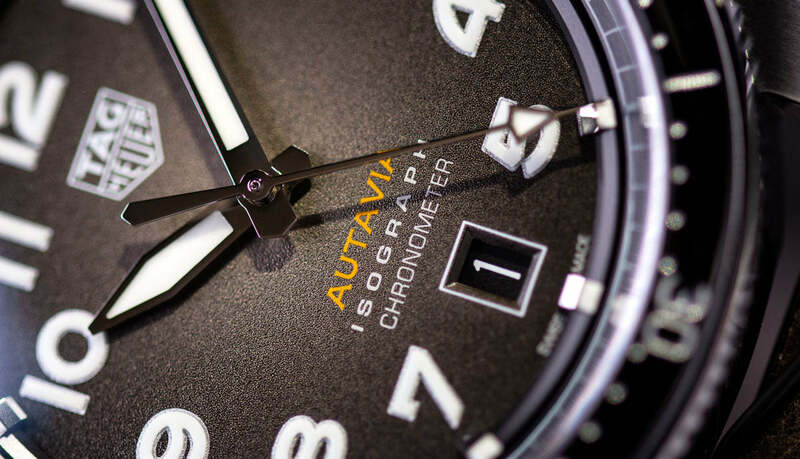 There are 7 new models in the new Autavia range, all time only, with rotating bezels; focusing mainly on blues, greens, greys and tropical brown style colours. The watches all have new 42mm cases in both stainless steel and bronze powered by the Automatic Calibre 5 movement which has a brand new in house isograph hairspring; 38 hours of power reserve, 28,800 vph and of course date, hour, minute and seconds. 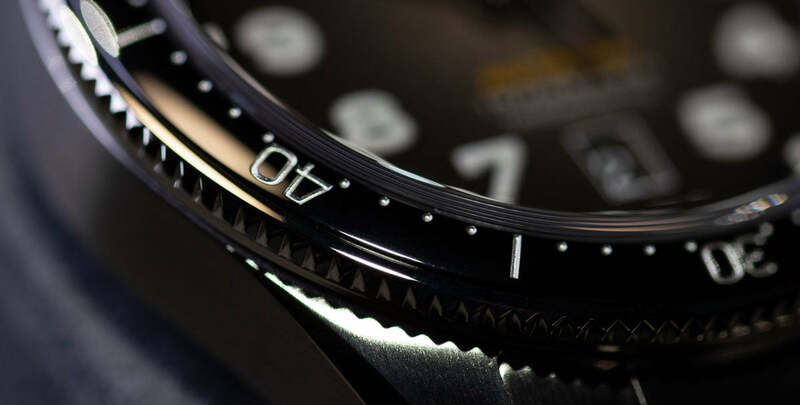 Bold hands and indices dominant the fume style dial with the date window sitting at the 6 o'clock position to ensure perfect symmetry is kept. What's it like in person? This is one of those releases you don't realise you need until it is sat in front of you. The 42mm width feels well proportioned on the wrist mainly down to those lugs. 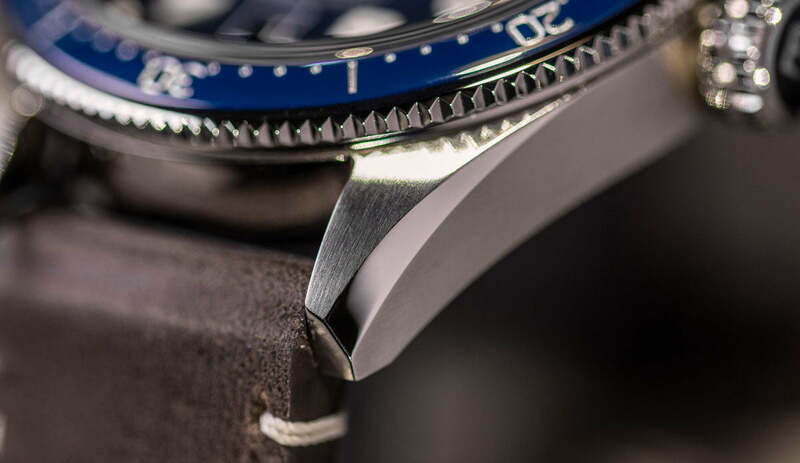 The steep angle right down to the end of the lugs means the watch avoids feeling overly bulky. 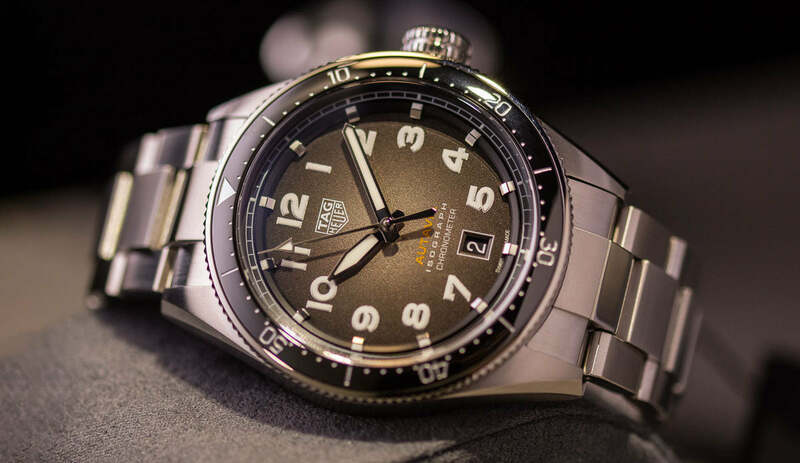 Tag Heuer has created this watch as something in which adventurers looking for a watch at a competitive price point can comfortably wear on the wrist and know it can survive whatever you throw at it. 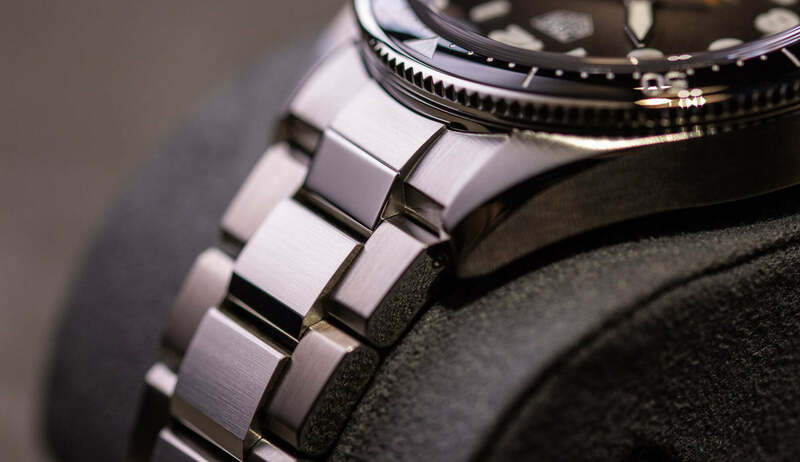 The large crown, sapphire bezel, bold indices and grain textured dial result in a watch which really adds a well needed dynamic model to the Tag Heuer line up. Tag also offer this model with a range of leather strap options as well as NATOs meaning two things. This wearability approach is heightened even more because of the new isograph hairspring. This enables the wearer to genuinely not have to worry about the watch once strapped to the wrist. 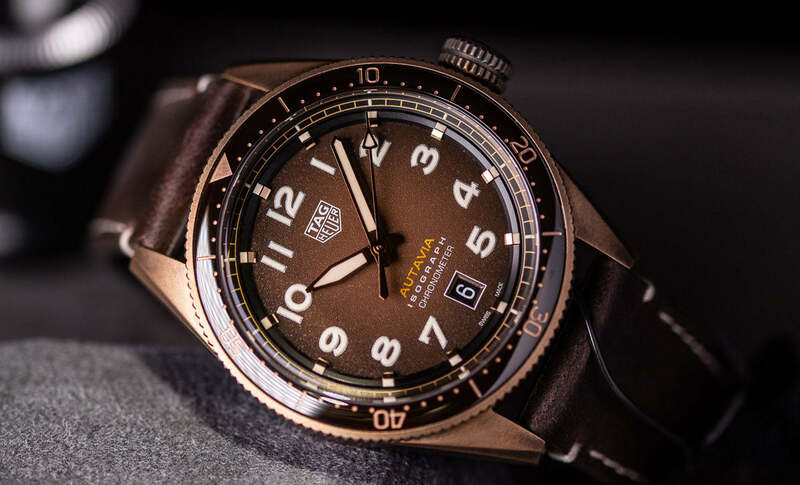 For the price, Tag Heuer has added a model to their range that really rivals the sports watch likes of Tudor, Oris and Breitling. 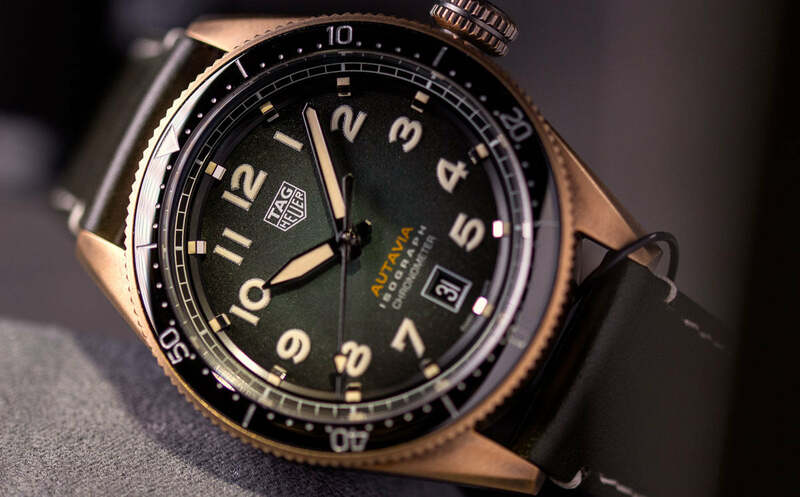 Not counting the fact you have a bronze option as well which can nicely patina to match the dial textures. 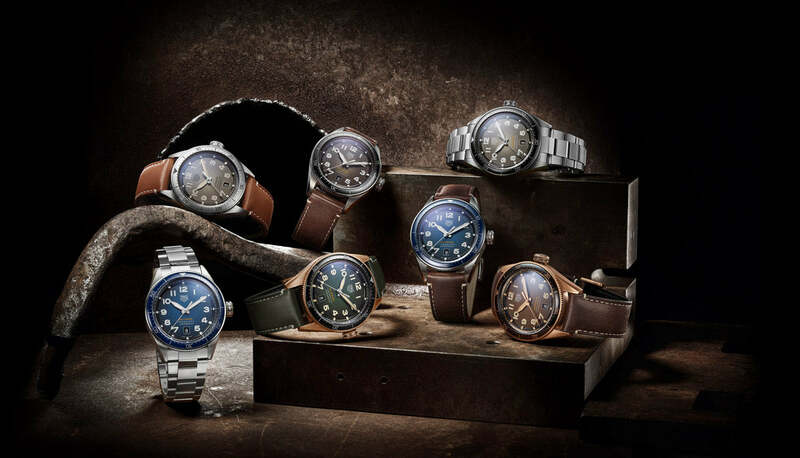 To find out more about the new Tag Heuer Autavia range, check out their website here! Love this watch in blue with a calf bracelet. Does the crown screw down? This would be the only thing that it should do, if indeed it does not.